We’re serious about doing rigorous scholarship that helps our partners address their most pressing challenges and also moves the field forward. Two ongoing partnerships between Puget Sound area school districts and University of Washington College of Education researchers are being extended with support from two new grants from the Spencer Foundation. The first, with Highline School District, will focus on advancing school district central office research, leadership practice and systems while the second, with Seattle Public Schools, will build school and systems capacity for racial equity. The Spencer Foundation’s Research-Practice Partnership Grants support researchers and practitioners as they jointly study problems of education practice and policy in specific contexts. Meredith Honig, a professor of education policy, organizations and leadership who has worked with Highline for several years, noted that receiving two of the highly competitive grants in the same year highlights the UW’s experience in creating effective research-practice partnerships (RPPs). The UW College of Education also received a Research-Practice Partnership Grant from the Spencer Foundation in 2015 to develop practical measures for improving the quality of mathematics classroom practice. The UW is the only education school to be awarded three Research-Practice Partnership Grants since the grant program was established. Ann Ishimaru, associate professor of education policy, organizations and leadership, said the College’s faculty share a commitment to working with educators, families and communities in ways that lead to systemic changes benefiting all students. Honig is primary investigator for the Highline partnership, with Lydia Rainey, director of research for the UW’s District Leadership Design Lab, serving as co-investigator. The partnership team is working together to design, implement and refine central office systems and practices that realize equitable teaching and learning. While barriers to educational equity are systemic, Honig said, researchers and practitioners generally have neglected the essential role of central offices in removing these barriers. 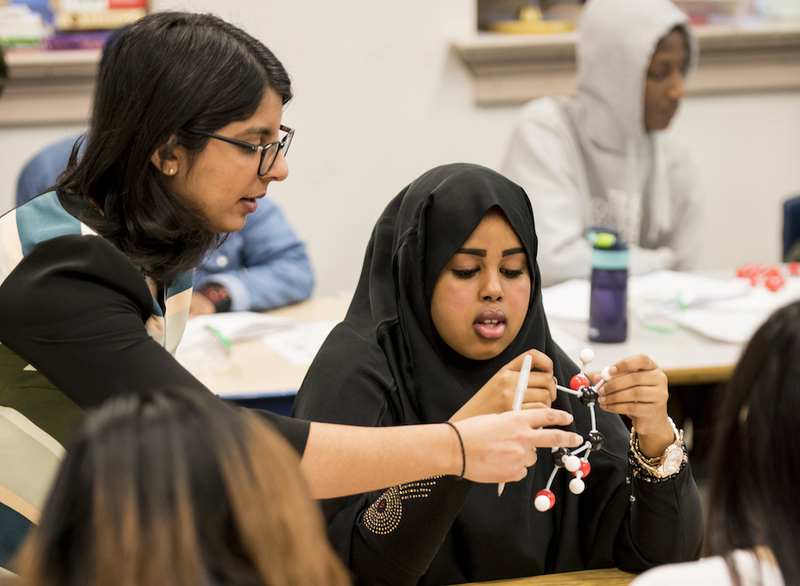 “We’re working to disrupt central office practices and systems that perpetuate historical inequities and rebuild them to foster equitable teaching and learning—especially for students historically underserved by school systems,” Honig said. Ishimaru and professors Filiberto Barajas-López and Min Sun are principal investigators of the partnership with Seattle Public Schools and the Seattle Education Association. The team is working to build systemic capacity to reduce race-based educational disparities in student learning experiences, discipline, opportunities to learn and academic attainments. Drawing on design-based methods and practitioner and community leadership, the joint effort is working to improve the use of data and other evidence to support system-wide racial equity work, co-design and implement equitable instructional and organizational practices, and generate knowledge about racial equity-focused systemic change in schools and systems. Barajas-López, who has engaged in racial equity work at the school level in Seattle over the last three years, looks forward to expanding efforts to improve the experience of students across the district. "Through this RPP we now have the opportunity to engage youth, families, communities and teachers as key builders of culturally responsive/sustaining and equitable learning environments," Barajas-López said. The Spencer Foundation grants total $800,000 in support of the partnerships with Highline and Seattle.